parking, dry cleaning, meeting rooms, airport transportation. 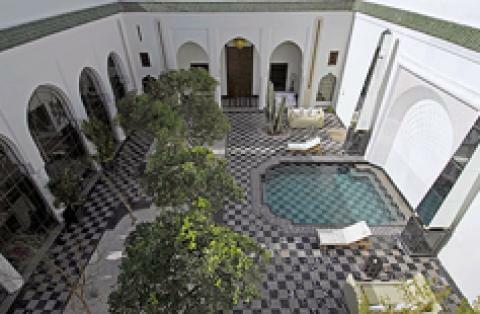 Each two-storey townhouse features five guestrooms, all of which open onto patios and have traditional decor with Moorish rugs and furnishings. All are equipped with air conditioning, complimentary local calls and bottled water, and bathrooms with complimentary toiletries.